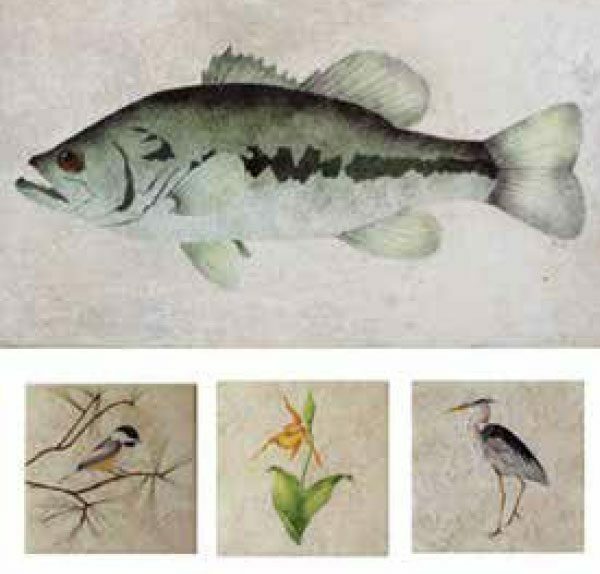 Stephanie hand-stencils her own designs using china paint on glazed commercial wall and floor tiles. She then fires the tile again for durability. The over glazes that she uses have the look of watercolor. Hundreds of stencil designs are available, including realistic images of Minnesota fish, birds, animals, leaves, fruits, and flowers. 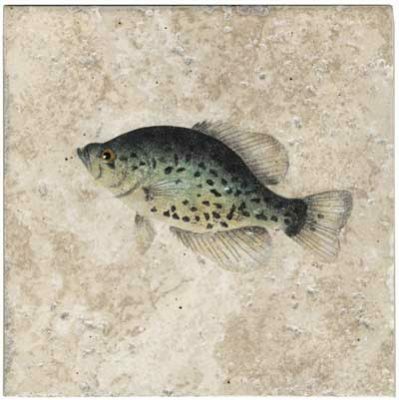 Custom designs are also available, suitable for interior walls, floors, countertops and backsplashes. 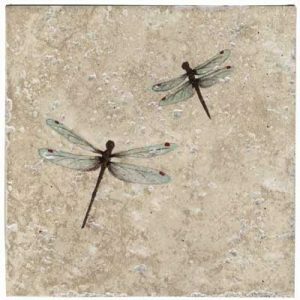 Stephanie's tiles have been used in showers, fireplace surrounds and as framed art work.